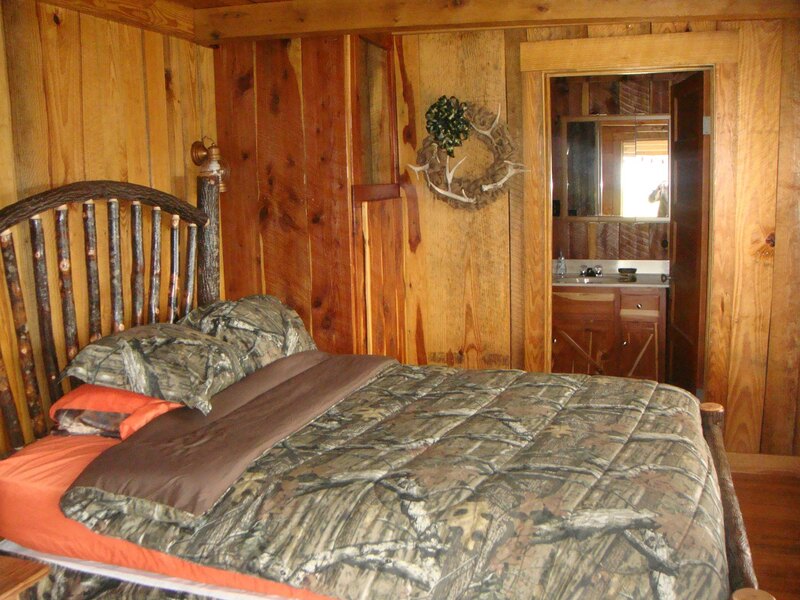 Hunters at Alabama’s Finest Hunting Lodge get to relax and rest up before the hunt or after a day of pursuing game. 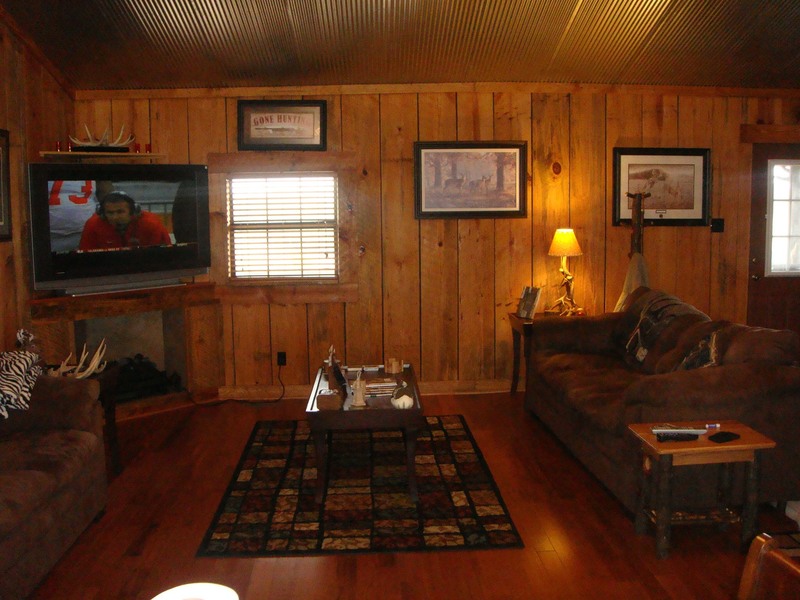 Our 1550 square foot rustic hunting lodge comes with modern amenities including a full kitchen, dining room, entertainment room with recliners, satellite television and electric fireplace. 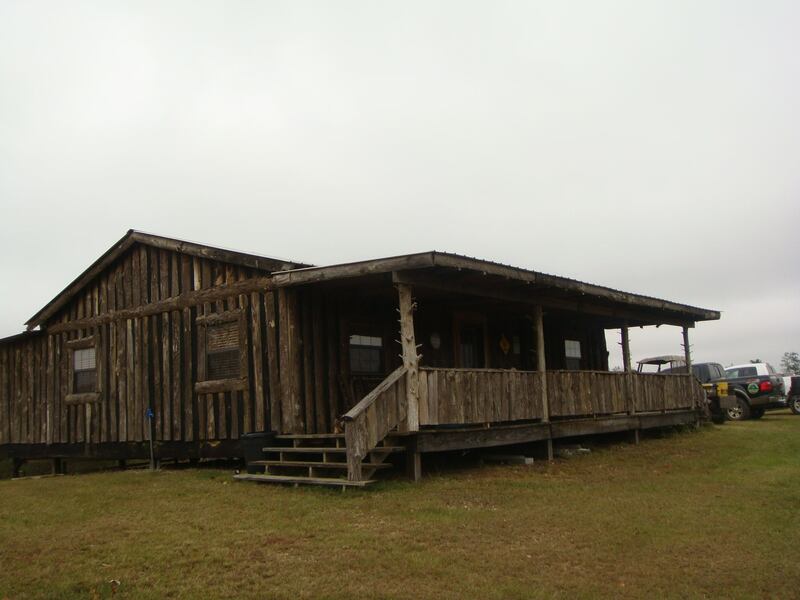 There are 3 bedrooms and 2 full baths, a front porch with rocking chairs, rear porch with gas and charcoal grills and a 6 foot round fire pit. We never double book at our lodge so you will have the lodge and property to yourself and your family or guest. 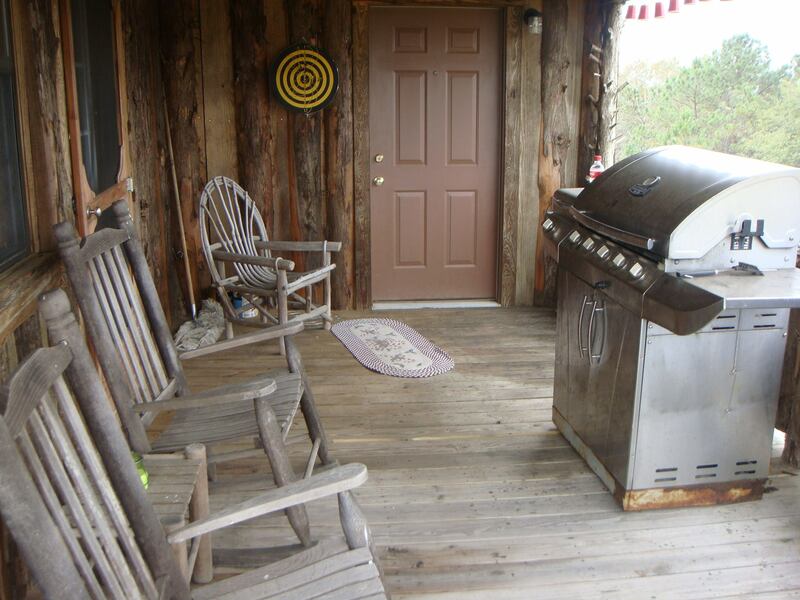 Within walking distance guest will have the opportunity to try their luck in our 3+/- acre stocked pond of Bass and Brim from a pier with picnic tables. Enjoy the serenity of the water, soak up some rays of sun or reel in some catch maybe even landing a really nice Bass. 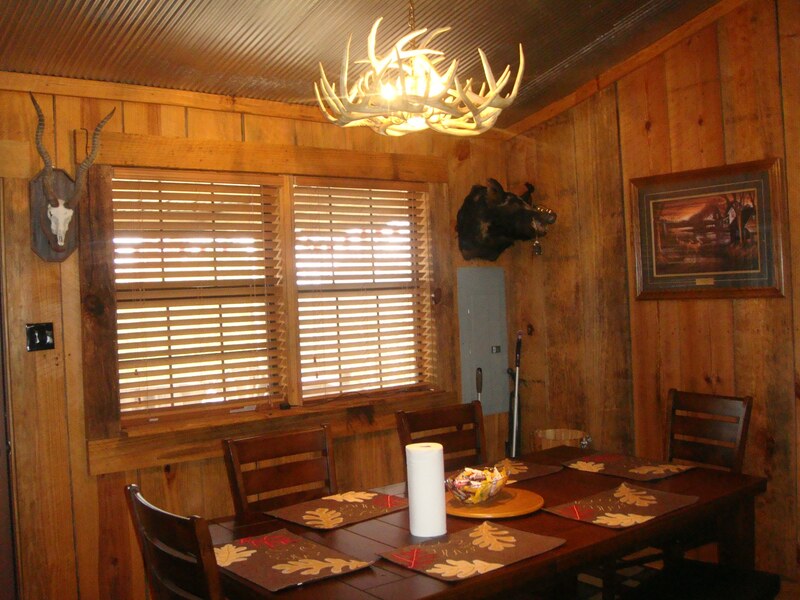 During the stay, going hungry will not be an issue as our southern hospitality and home cooked meals are second to none. 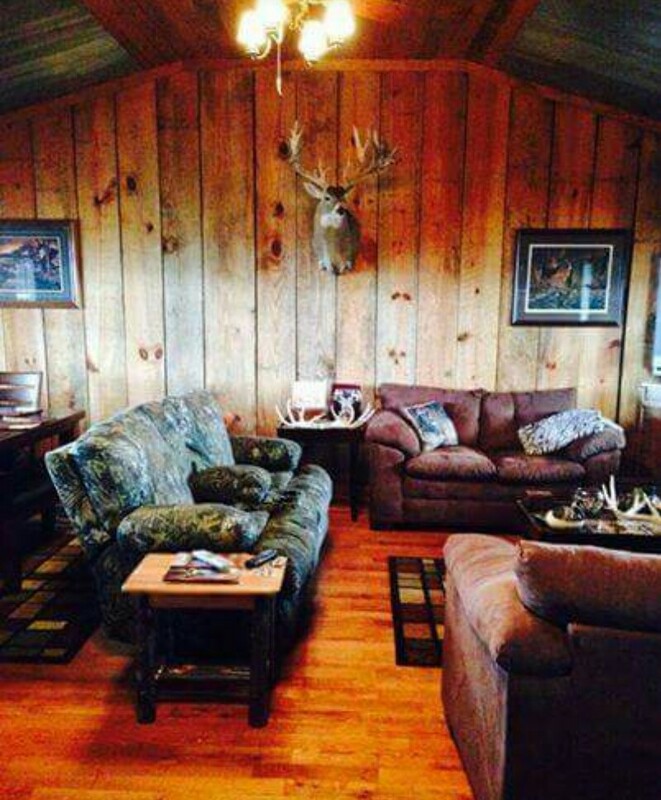 Enjoy a nice steak after the harvest of your quarry then enjoy a sit around the fire telling the stories of the day while gazing at the stars from one of the more remote and higher properties of Central Alabama. The experience can renew and disconnect the hunter from the day to day like no other.